and the glass is signed by the artist. These mugs are American made and have the first four Christmas images Jim painted. This collage includes Jim's first four Christmas paintings; Sorry, The Ad Said Reindeer, Mmmm...Carrot, Told Ya, Same Place Every Year and What Are You. 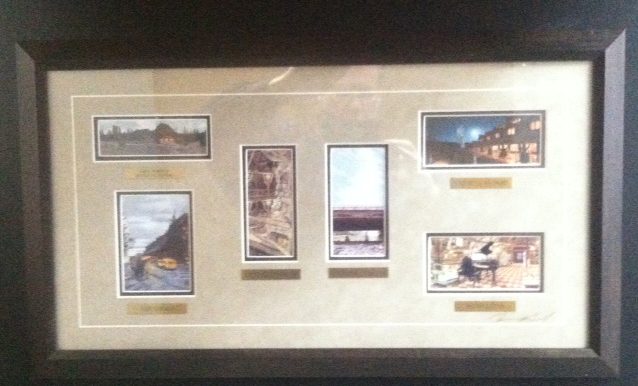 The collage comes matted, framed, a plaque with the name of each image, the glass is signed by Jim and it's ready to hang. 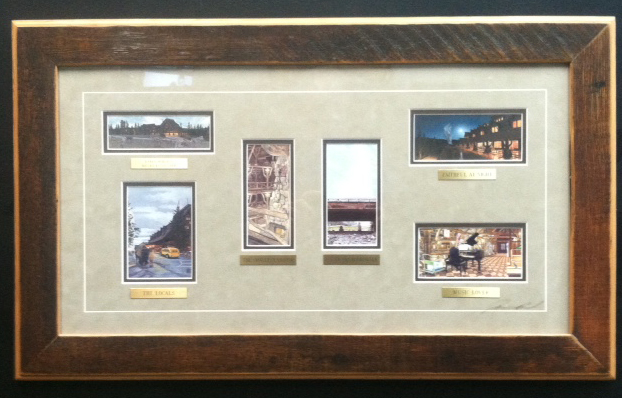 This collage includes some of Jim's most popular images of the beautiful Old Faithful Inn. The images included are Early Morning Missed Encounter, Music Lover, The Locals, The Smallest Visitor and Under the Boardwalk.. 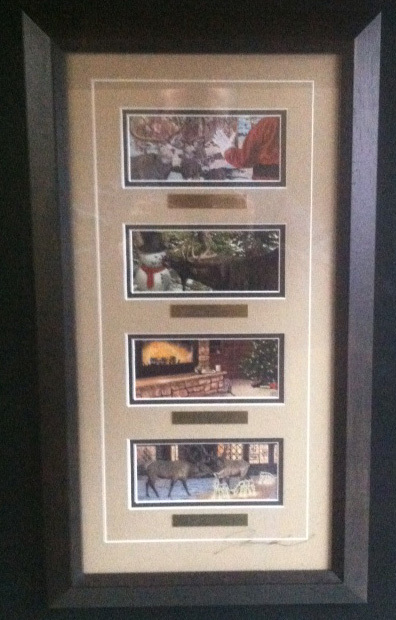 This collage comes matted, framed and ready to hang. 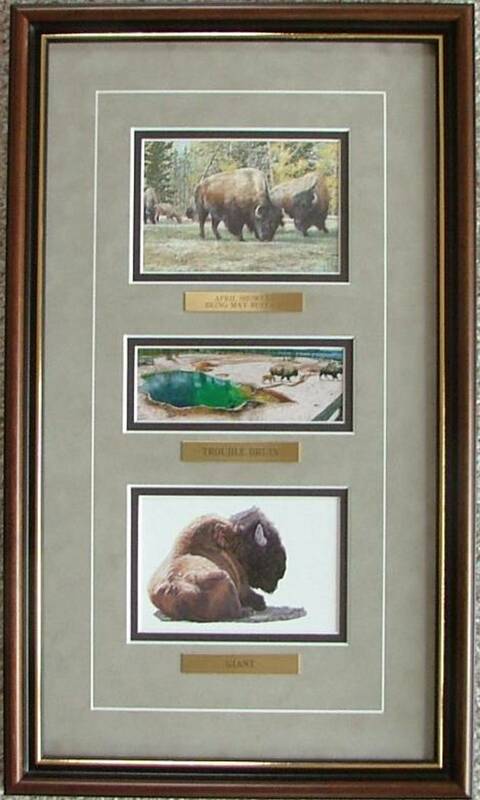 Also included: plaque with the name of the image and the glass is signed by the artist. Actually, almost all of Jim's paintings that have been printed can be made into a collage - the following are designs have been made and can easily be made and shipped quickley. 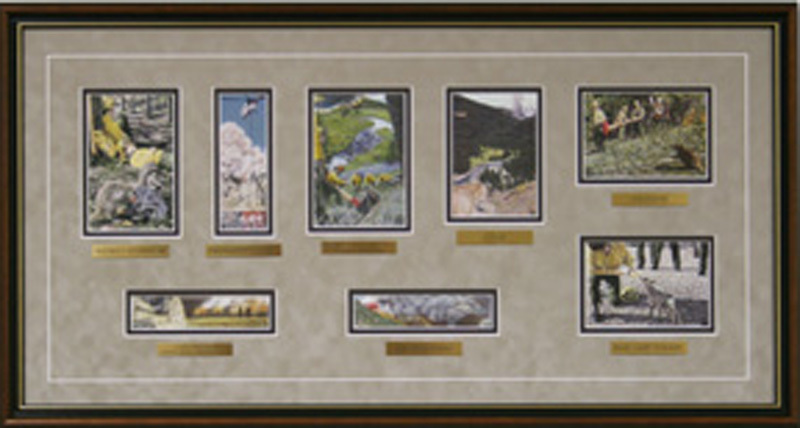 This collage includes all of Jim's wild land firefighter paintings that he put into print. They include Watch Out Situation #18, Firefighting-n-Fishin, Anchor Point Gone Wild, Lunch, Amateurs, Last One Out, Air Operations and Base Camp Nursery. 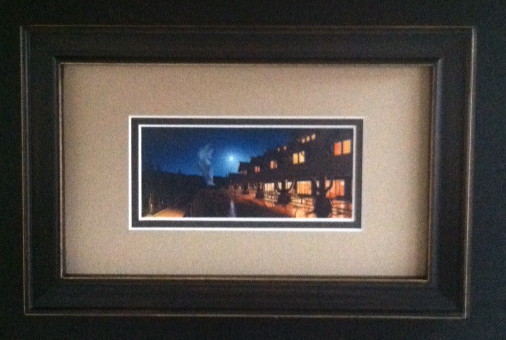 This collage comes matted, framed, signed by the artist on the glass and ready to hang. 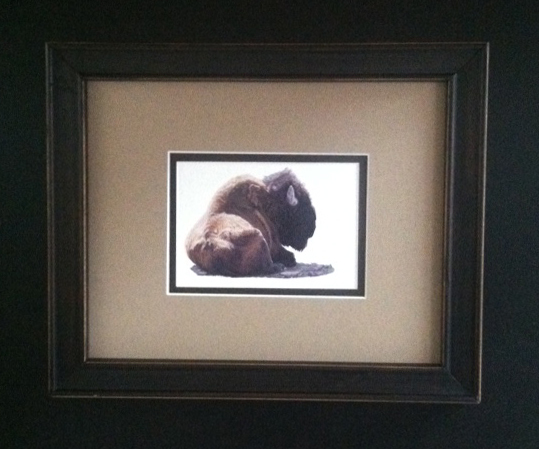 This very popular collage includes all the images in Jim's very popular "Yellowstone Revisited" series. This collage is available by special order only. The images include Interim Refuge, Surveying Her Damages, Moving Day, Last One Out, Hunting the Fire Line, Sure, When A Fella Needs A Fire, Life Anew & Atonement. 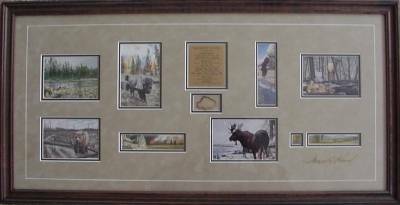 This collage comes matted, framed, signed by the artist on the glass and ready to hang.